A fantastical steampunk first-contact novel that ties together high magic, high technology, and bold characters to craft a story you won't soon forget. This book crosses genres like chickens cross roads. There's airships, magic, a shattered world, aliens with unknown motives; and that's just the start! I loved this book through and through. I'd be happy to go on another adventure with Talis and her crew any day. 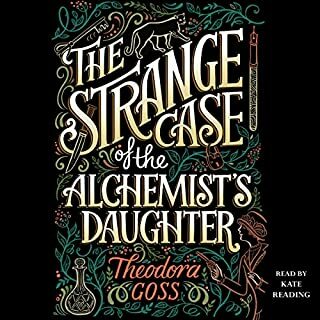 Definitely a recommended listen for anyone into space opera, steampunk, or unique fantasy (Because this books works across all three genres). I can’t wait for the next book. I wish I’d had the time to sit down and read this straight through from start to finish. I would have held my attention. Inventive, unique, and merging so many aspects of both Sci-fi and fantasy into one your left with awe and wonder that they can coexist so peaceably. As stated before I cannot wait for the next installment and look forward to all that the author has of the world of Peridot. Flotsam was a charming compelling story. I honestly thought the characters were neat. Especially Talis's crew. The bond they shared that had not stereotypical romance or predictable outcomes like a lot of adventure stories tend to have. You get a feel for the difference cultures described in the book. Some of The aliens have their own pronouns which I though was confusing at first but ended up being quite refreshing! This is a a book that grabs you in and makes you curious and makes you feel for both the good and what we presume is bad. 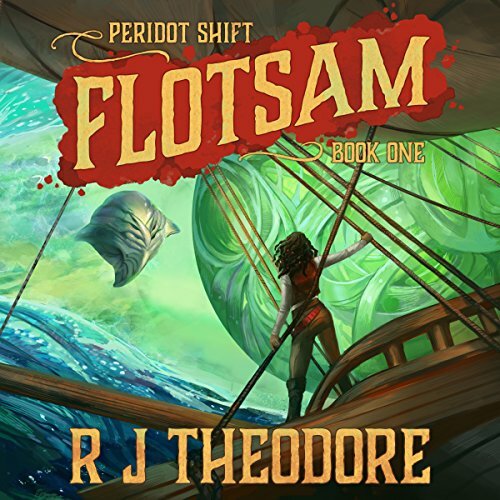 Give Flotsam a read. If you enjoy sifi this is a good start. 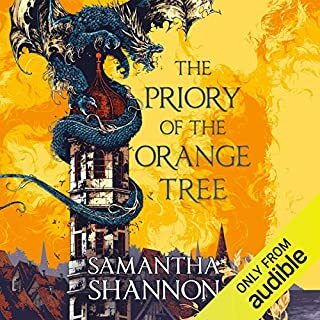 Got the book on audible and it was really good. I listened to almost a fourth of the book in one day. The writing is very cinematic and entertaining, and reminds me a lot of the Star Wars extended universe, mixed with Pirates of a much smarter Caribbean, and has the whole cool steampunk vibe thrown in. The narration is great and I could totally see this as a radio drama, like the ones from Graphic Audio. Was a real fun break from the studying. 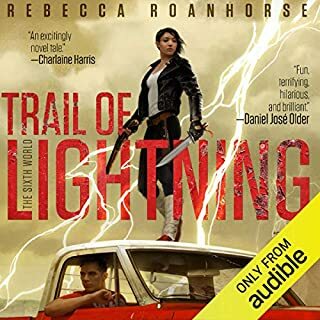 Did I mostly decide to listen to this audiobook because, as a fan of Mary Robinette Kowal, I'm an easy target, when I see her name on something, I buy it? Yes. The great book cover helped! A steampunk world? Gods? Secrets? A flying ship? Nice Firefly-like (to me) team that's trying to survive? A job that looks easy and pays a lot to rest and not starve for that did turn out to be about the fate of the world? Count me in! Talis and her crew decide to complete a job that seems easy, and pays well, so why say no? 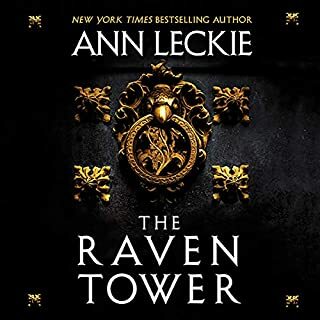 They retrieve an ancient ring, but with it, reveal ancient and hidden ennemis, mysteries, secrets and soon, the fate of the world will be at stake, just like Talis' crew and ship who must try to survive, caught in all of this. 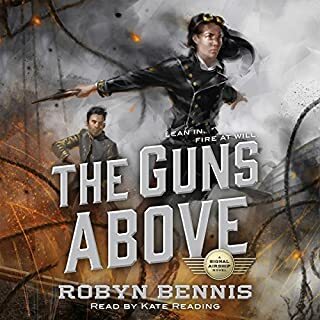 Mary Robinette Kowal's narration transforms this novel into a sweet and excited ride. But, to be honest, I sometimes struggled with the story and thought some characters lacked deep personnality and backstory - but this is only book one! And I could still listen to it again to change my mind. Some worldbuilding and characterization were quite interesting to me, I didn't see them often used in a book. 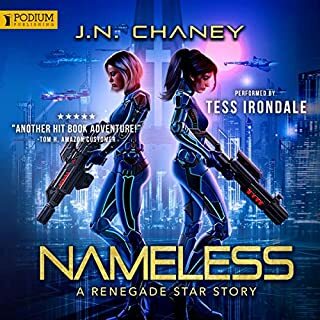 At the end of the book, I found myself wanted to discover more about what happens to the crew next, and the world, and some interesting plot twists and the fate of some characters. So I may well be here for book two! Discover the story of the ring (which ended up to be one of my favorite... you know) that will not throw you into the dark side. But you can be sure many groups of ennemies will try! Imaginative but could be more compelling. The races, cultures and influences were imaginative. Characters were plucky, though sometimes gratingly so, it could have been the narration. The narration leaves something to be desired, characters were almost cartoonishly toned, but notably that improves toward the end.